The SG 31 sprayer is a powerful, easily portable piece of equipment. Equipped with a 5-liter tank, the sprayer falls between the SG 11 and the larger SG 51 in terms of volume capacity. 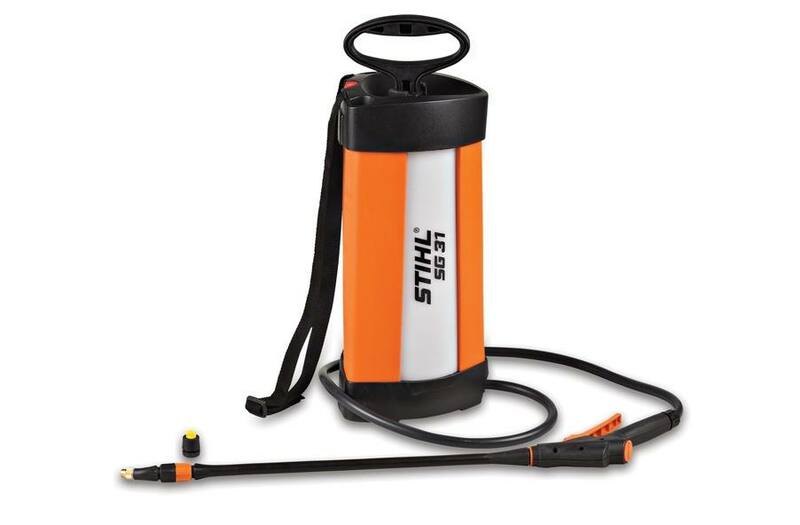 This multipurpose sprayer can be used to apply fertilizers, pesticides, herbicides, and insecticides to your plants. It's built with lightweight materials, making it a convenient tool to carry with you both in the yard and on the farm. The easy-to-use design includes a pump handle that can be locked into place for use as a carrying handle, along with a translucent tank for optimal visibility of liquid levels. The sprayer wand comes standard with a non-adjustable hollow cone brass nozzle, and a wand holder for secure transport and storage.